The Bahamas markets itself as a Tourist destination: An archipelago of 700 islands and Cays with white sand beaches, aqua transparent water and a green and pristine environment. For the most part, this is the case. 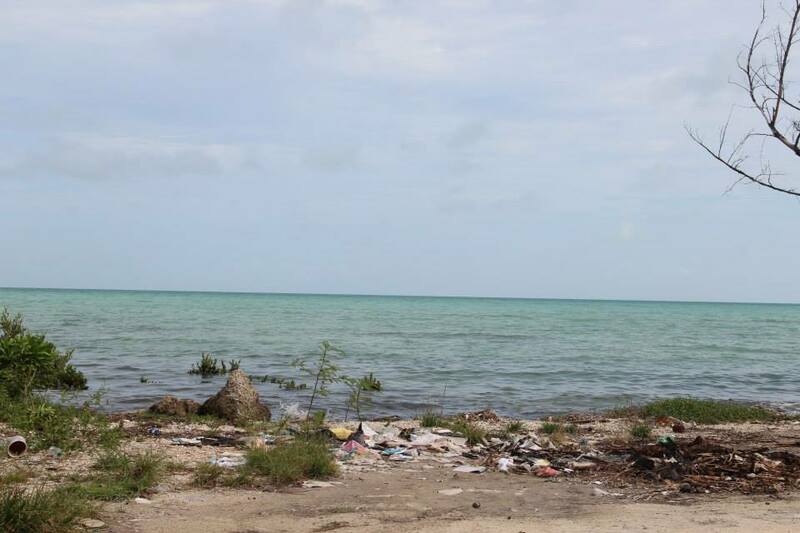 However, garbage can easily be found on road sides, and derelict vehicles in some yards, and in the nearby bushes of some areas in New Providence and the Bahamian Family Islands. Plastic containers, styrofoam plates, and cups left on beaches, are a common discovery. 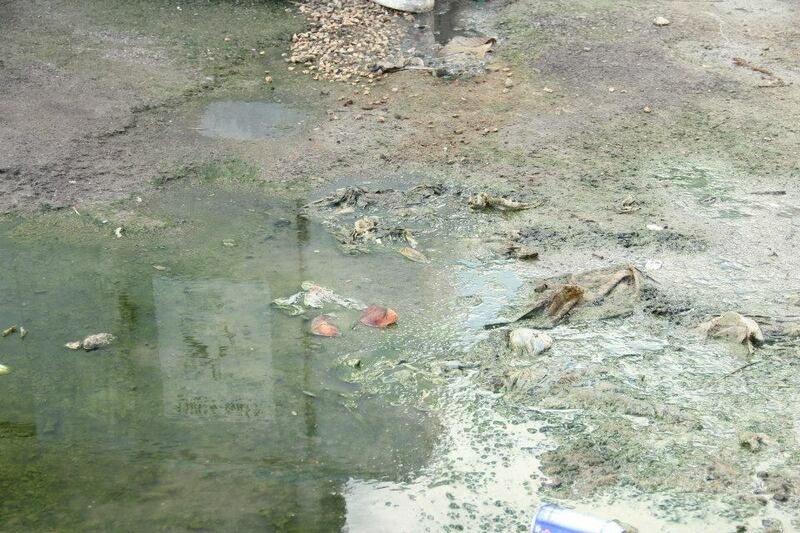 What is worst is that all of these items and more, can be found in the sea. 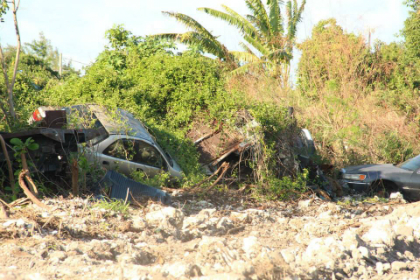 Moreover, the spontaneous fires at the Harold Road landfill over the last five years made management of solid waste on the island of New Providence impossible. This was unacceptable, for me personally, because the pre-school that my daughter attended would from time to time become engulfed by the thick black smoke and fumes from these fires. At best, these fires would surround the school for a few hours and at worst for two weeks. Despite the school’s efforts to keep the children in-doors or request that they be collected and stay home until the fires were contained, by the time my daughter was 3 years old she had developed asthma. 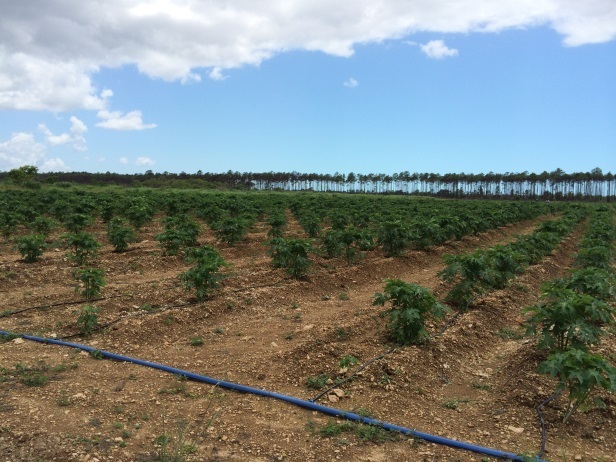 In May 2014, the Government run Harold Road Landfill came under new management and fortunately, for all of us residing in New Providence, the frequency and intensity of the landfill fires have been reduced tremendously. Renew Bahamas, the company managing the Landfill, aims to reduce the amount of solid waste that ends up in the landfill by recycling plastics, cans, cardboards, metals, paper, and glass that comes in as garbage. 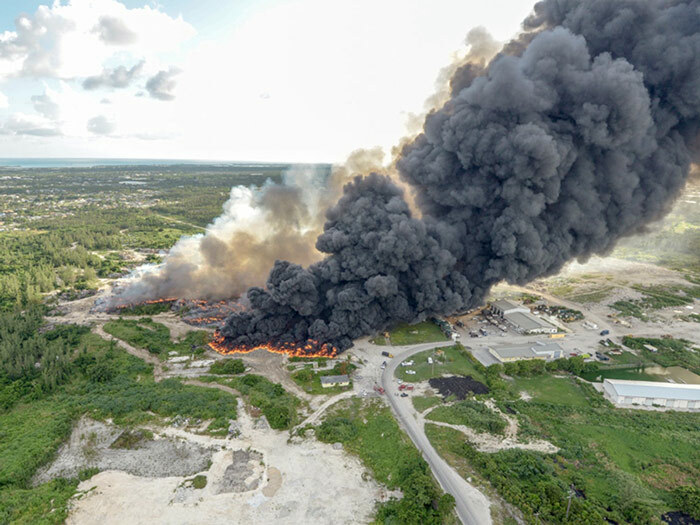 Additionally, Renew Bahamas aims to remediate and reconstruct the landfill, transforming it into a sanitary state, which will reduce and eventually eradicate the spontaneous fires. 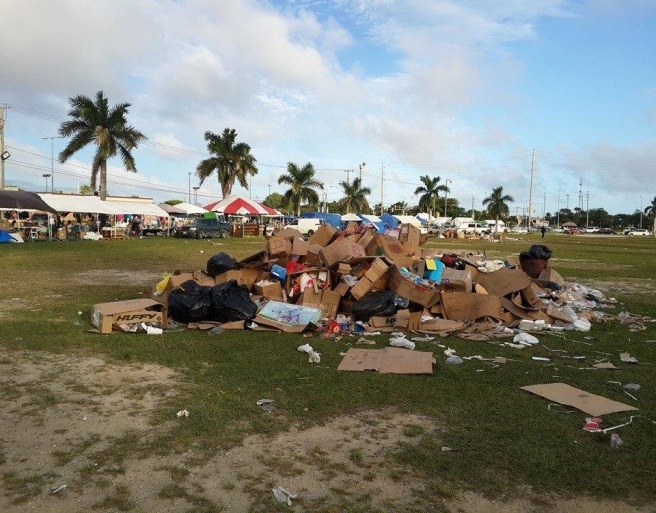 This enormous initiative to recycle waste and reform the landfill will require the involvement of all persons residing in The Bahamas in order for it to be sustainable. The process of recycling starts in homes, schools, business places, and similar entities. We have to sort our garbage according to the types of waste items – plastics, cans, bottles, paper & cardboard, metals. There should be specific containers outside of homes and buildings in which to put each type of waste. Specifically labeled garbage containers for each type of commonly used items should be put in public areas. Further, the waste should be collected in this separated manner in order for recycling to be sustainable. 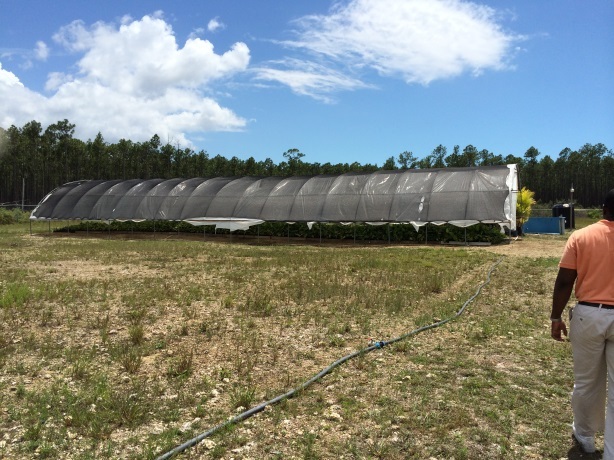 Organic waste such as food should be disposed of separately and collected from schools, hotels, and restaurants to be prepared for composting in order for it to be used by local farms, nurseries, stables, and national agricultural and environmental projects at the Bahamas Agriculture and Marine Sciences Institute (BAMSI). 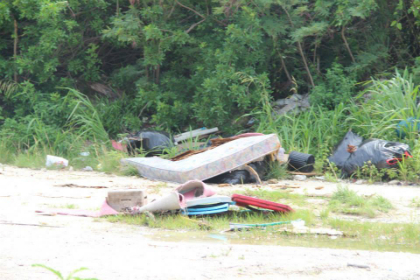 The development of a culture for proper solid waste management must involve all people residing in The Bahamas. A national communication plan on ways to involve and at the same time educate residents on improving the management of municipal solid waste by sorting garbage in the homes, cleaning up of beaches, paying fees to properly dispose of waste that can pollute the environment and the air would go a long way in gaining Bahamian buy-in on moving away from dumping locations to sanitary landfills. We will understand that garbage left uncollected for weeks will spread diseases, contaminate water, including mangroves, which play an important role in increasing our fisheries. We will understand that our involvement in proper municipal solid waste management is linked to reducing greenhouse emissions that contribute to global warming. The rewards of such involvement would mean a healthier land and sea environment overall, less breeding grounds for vector-borne diseases, which will all strengthen our Tourism industry. Finally, finding ways to re-use, recycle, and properly reduce solid waste, carbon dioxide and other greenhouse gases would make The Bahamas eligible for Carbon finance benefits.